The Richmond Hill Historical Society and Arts on the Coast are again joining forces to embrace the history of Richmond Hill and Bryan Neck by co-hosting an art show and reception Sept. 19 from 6:30-8:30 p.m. at the Richmond Hill Museum. “Past and present Bryan” will be this year’s theme, and the Arts on the Coast artists have put their creative juices in action, depicting the history of Richmond Hill and south Bryan County. This is the fourth year the two organizations have worked together to produce a historically themed art show. Thus, the Richmond Hill Historical Society is inviting all residents of the area to come to the reception on the 19th not only to enjoy the art show and reception, but to help find the stories behind their unknown images. “Without the knowledge of the elders in our community, the legacy and rich history of this place we call home could be lost. Then all any of us end up with are boxes of old photographs without the thread of connectivity we need between generations to help us define who we are. How many of you have gone in to clean out your parents homes after they passed on? What was it like for you when you came across the sepia toned images or black and white photos of who, or what or where? Didn’t you want to look over your shoulder and call out to your mom or dad and ask but there was no answer,” Volker added. This year during the art show, the Richmond Hill Historical Society will be raffling off two brand new Historical Richmond Hill platters. Tickets will be $5 each. The numbers will be pulled at 7:45 p.m. so come early, enjoy the party, and perhaps you will be the one to walk away with a platter. For more information, call 756-3697. Officials with the Richmond Hill Convention and Visitors Bureau and the Richmond Hill Historical Society gathered Tuesday night at the Richmond Hill Museum to celebrate the 150th anniversary of Henry Ford, the city’s founder. And in honor of the celebration, the CVB unveiled its Coastal Bryan Heritage Trail Driving Tour app, an interactive, GPS-enabled program that offers “the rest of the story” to the more than 40 historical markers erected at places significant to the history of Richmond Hill, according to Chris Sheppard, executive director of the CVB. The Richmond Hill Museum opened its doors to the community Thursday evening for the Richmond Hill Historical Society’s annual potluck, offering an opportunity to learn about the city’s history, as well as the society and museum. Sandra Williams said she enjoyed viewing the different artifacts for the first time. Historical Society member Jay Volker was on hand to share his knowledge with visitors like Williams. “It’s a great place to bring your family and friends when they come to visit from out of town,” he said. As hard as it is to believe 2013 has arrived and the new year is already shaping up to be one of change, restoration, rehabilitation and continued education. The Richmond Hill Historical Society Officers, Board of Directors and members share a common goal. We all understand the importance of keeping Richmond Hill, Bryan Neck and Bryan County’s history alive and accessible to the public. Our region has an amazingly rich, unique and interesting past. Our marshlands and uplands are filled with stories waiting to be told. We are always on the lookout for new information and old tales. 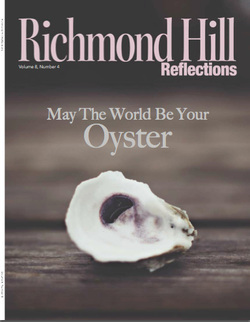 The Richmond Hill Museum is stewarded by the Richmond Hill Historical Society. Through the hard work of our volunteer docents, members and the largess of the Richmond Hill City Council, the doors are able to stay open to the public five days a week. You can wander through the museum on your own or ask for a guided tour. Our historical records are available for research. We are constantly looking for ways to improve the museum and its displays. In the last year, the subject of maintaining the building has been at the forefront of our endeavors. We are now on Savannah Tech’s Restoration Programs list of projects for 2013. The start date is in late February of this year. The speaker line up for 2013 is already filling up. Buddy Sullivan kicks off our 2013 lecture series on Thursday. Buddy will be talking about the Civil War and Bryan County. Continuing in the Civil War vein for the Feb. 7 meeting, documentary film maker Michael Jordan will be presenting his latest documentary on The March to the Sea and Savannah. Mar. 7 we have author and speaker Sally Robinson, a native of Dafuskie Island, talking about her childhood growing up on the island and what it was like to be one of Pat Conroy’s students when he taught on the island. Conroy’s experiences were recorded in his book, “The Water is Wide.” Sallie has a recently published cookbook filled with her island recipes. She will be bringing copies along with her for a book signing event after her presentation. April 4, Armstrong Atlantic State University historian and professor Chris Hendricks will be at the Richmond Hill Museum to discuss Savannah and its’ unique architecture. January begins our membership drive. Without its members, neither the Historical Society nor the Richmond Hill Museum would or could exist. I am looking forward to seeing each of you this Thursday at 7 p.m. in the Richmond Hill Museum to watch Buddy start the ball rolling for the 2013 Richmond Hill Historical Society and Museum’s coming year. As you can see, we are hitting the ground running in 2013. Editor, The Richmond Hill Historical Society, specifically well-known historian and author Buddy Sullivan and our vice-president, Christy Sherman, have thoroughly researched our historical records and have found the information stated on the historical marker on Mimosa Street referring to the area known as “The Bottom” to be correct. The term refers to the landscape itself. The area was called The Bottom prior to Henry Ford arriving in Ways Station. When Ford began building homes for his employees he had dirt hauled in to raise the land high enough for structures to safely be built on. 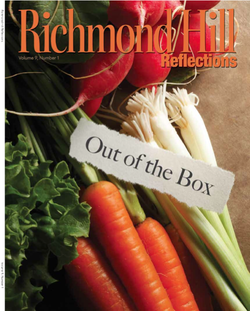 When I spoke with Diane Rutland in September, I suggested she present a petition signed by 51 percent of the residents in the neighborhood who were upset by the marker to the Richmond Hill Historical Society, Richmond Hill City Council and the Richmond Hill Convention and Business Bureau. We have not received anything thus far. I have spoken with local real estate agents to get feedback from them as to the effect the sign has on property values in the neighborhood. Local residents have been canvassed on their feelings about the historical marker signs and specifically the sign in that neighborhood. The overwhelming reaction we have received is positive. The real estate agents I spoke with thought it was a positive selling point for a home to be in a significant historical neighborhood such as Richmond Hill Village. It is not the job of the Historical Society to change or rewrite history. Our job is to present the facts, warts and all, to the public. 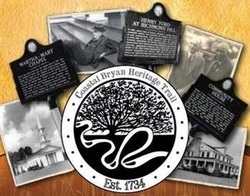 We try very hard to make sure the things that give our town and Bryan Neck its special personality are remembered. The concern we have is if we don’t keep our history alive, we risk becoming like every other little town with no personality and nothing to set us apart. 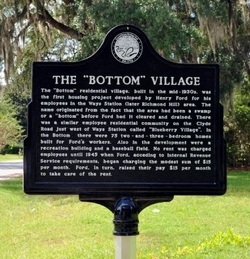 The land Richmond Hill Village sits on was called “The Bottom” because of its wet, swampy terrain. Even before Ways Station’s name was changed to Richmond Hill, it was known as “The Bottom.” It is a geographical reference describing the land itself. Webster’s Dictionary refers to “a bottom” as low-lying land. In no way does it refer to the residents of the area. I hope this clears up some of the misgivings about the historical markers placed throughout the area. It was a joint effort by the city, the CVB and the Richmond Hill Historical Society to showcase the unique area we are lucky to live in. Tucked away in the suburban neighborhood of Strathy Hall lies a hidden piece of Richmond Hill’s history. The Strathy Hall Cemetery, which predates the Civil War, is the final resting place of nearly 100 slaves who worked and lived on the Strathy Hall Plantation. Intent on changing that, Lewis and 12 members of the anthropological society drove down from Statesboro Saturday to help clean and restore the cemetery. They cut down brush, removed trash and uncovered broken grave markers. The Richmond Hill Historical Society sponsored the cleanup, and Vice President Christy Sherman helped the students clear the grounds. According to Sherman, the land’s current ownership is unclear, which has likely contributed to the cemetery’s disrepair and forgotten history. This isn’t the first time Strathy Hall Cemetery has received a facelift. About 10 years ago, GSU, local churches and county surveyors mapped and surveyed the land, locating graves and removing two centuries’ worth of debris and overgrowth. Since then, however, local interest has declined, and the cemetery has fallen back into disrepair. Deacon Jacob Grant of Bryan Neck Baptist Church headed the first cleanup committee in the early 2000s. Grant said many Bryan Neck Baptist Church members can trace their ancestry back to the cemetery. Some still visit the graves of long-dead family members. Most of the older graves are unmarked, so it’s unlikely the names of the inhabitants will ever be known. But there are more than 20 graves that are marked with crudely carved stones bearing names and dates. Sherman said the Richmond Hill Historical Society and the GSU Anthropological Society plan to continue cleanup efforts in the future. 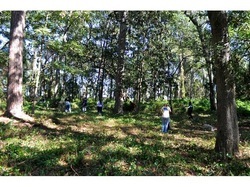 They hope to eventually define the cemetery’s boundary lines and to install a fence, sign and walkways on the property. They are currently seeking volunteers and donations. To find out more, email richmondhillhistoricalsociety@gmail.com. Armed with lancets, bone saws and lice combs, Fort McAllister Historic Park manager Danny Brown taught park visitors a thing or two about Civil War-era medical practices — and malpractices — Thursday evening. The demonstration, which was part of the Richmond Hill Historical Society’s monthly lecture series, painted a gruesome picture of disease and illness brought about by poor living conditions and ignorance of germs and bacteria. “When most people think of medicine during the Civil War, they think of open wounds and amputation. But epidemic diseases caused twice the amount of casualties during the war as actual bayonets, rifles and cannons,” said Brown. According to Brown, dysentery was the primary cause of death for Civil War soldiers, killing more than 16,000 during the first 19 months of the war. Brown recounted one story about soldiers who believed the fog that rose over the river at night was the cause of malaria. Similarly, soldiers knew that drinking coffee was less likely to cause illness than drinking water, but they didn’t know it was because the coffee had been heated to a temperature high enough to kill bacteria. 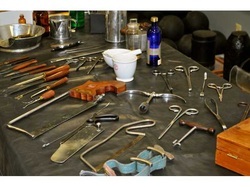 In a macabre twist on show-and-tell, Brown also discussed surgical techniques and tools used in Confederate field hospitals. He demonstrated how doctors would have used the assortment of forceps, hooks, knives and saws to remove lead bullets and amputate shattered limbs. Attendees said they found the lecture informative and interesting — if a little unsettling. Fort McAllister Historic Park celebrated the homecoming of a Confederate battle flag Saturday, nearly 150 years after it was surrendered to Union Maj. William Z. Clayton at the Battle of Fort McAllister. Robert Clayton, a homebuilder from Maine and the great-grandson of Maj. Clayton, addressed an audience of about 150 at the event and explained the history of the flag and the ancestor who claimed it. 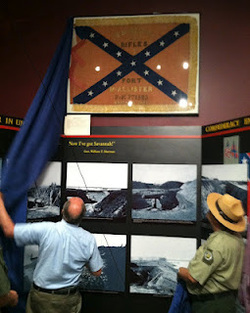 He framed the red silk flag, which bears the hand-painted words “Emmet Rifles” and “Fort McAllister” and the dates of two previous battles, and displayed it in his living room until a visit to Fort McAllister in October 2010 prompted him to honor his ancestor’s wish. So Clayton approached Fort McAllister Historic Park Manager Danny Brown and offered to return the flag. Clayton shipped the flag to Georgia last summer, where it was carefully restored and framed by the state of Georgia’s Preservation Lab. 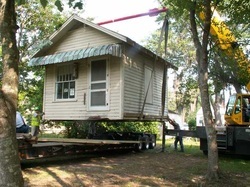 It was installed in the Fort McAllister museum in February. Clayton said he wasn’t sure why his great-grandfather wanted the flag returned to Georgia, but he believed that a small, leather-bound copy of the New Testament might have had something to do with it. Clayton’s ancestor was shot in the leg at the Battle of Shiloh, and while he lay bleeding on the field, his knapsack containing the New Testament given to him by his late wife was stolen. In 1924, 62 years after its disappearance, the Bible was returned to Clayton. The park’s celebration also included performances of Civil War-era ballads by a band dressed in period garb, a ceremonial cannon firing and free admission to the park. 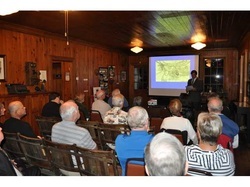 Nearly 30 people filled the narrow rows of wooden benches at the Richmond Hill Museum Thursday evening to hear historian Christopher Hendricks speak about the 1779 Battle of Savannah during the Revolutionary War and its effect on local history. Hosted by the Richmond Hill Historical Society, the lecture was intended to educate residents about the area's history during the late 18th century. It explored Savannah's role in events ranging from the imposition of the Stamp Act to the British surrender at the Battle of Yorktown. "When talking about Savannah, people tend to forget about Colonial and Revolutionary War history and jump right to the antebellum era," said Hendricks, who teaches history at Armstrong Atlantic State University in Savannah. "Except for Oglethorpe and maybe John Wesley, It's almost as though they forget anything happened between the 1730s and the Civil War." The way in which the city's most significant conflict of the period played out might account for the gap in Savannah's collective memory. The Second Battle of Savannah, also referred to as the Siege of Savannah, was a failed attempt in 1779 by Franco-American forces to retake the city of Savannah, captured one year earlier by the British under Lt. Col. Archibald Campbell. "If you wanted to sum up the Battle of Savannah from an American perspective in one word, that word would be ‘confusion,'" said Hendricks, who earned his doctorate from the College of William and Mary in Virginia. Flawed leadership, miscommunication and disorganization plagued the Franco-American army, led by the French Comte d'Estaing and American Gen. Benjamin Lincoln. According to Hendricks, it took only an hour for the British to decimate the allied army, and the battle marked the second bloodiest day of the American Revolution. Only the Battle of Bunker Hill was bloodier. "British accounts place their figures at 18 killed and 39 wounded, while the allies suffered somewhere between 750 and 1,100 casualties," he said. Casimir Pulaski, a Polish nobleman who is hailed as the father of the American cavalry, was among those killed on the American side. Despite high casualties, however, the Battle of Savannah might have actually laid the groundwork for America's eventual victory in the war, said Hendricks. "After the battle, the British may have been lulled into the belief that continued loyalist support would propel them to victory in the South, and possibly, all of the colonies," he said. "They moved into South Carolina. Seven months later, they captured Charleston. Then, they began a long march through the Carolinas' backcountry, constantly harassed by American patriots, which ultimately forced Lord Cornwallis to seek refuge in a little Virginia port called Yorktown. "There, possibly because of the poor coordination between the Americans and the French in Savannah, the American and French militaries worked together seamlessly, finally bringing about American independence, which, after all, was the whole point." Richmond Hill Historical Society vice president Christy Sherman said she enjoyed Hendricks' lecture and appreciated his message. "I thought he did a great job," she said. "We tend to focus on Civil War history here, so it's nice to hear a little bit about Revolutionary War history." Sullivan, who has published 14 books on subjects related to Georgia history, traced the activity of Spanish settlers in Coastal Georgia and examined artifacts left in their wake. According to Sullivan, more than 500 Spanish settlers led by explorer Lucas Vázquez de Ayllón settled in Coastal Georgia, on or near Sapelo Island, 200 years prior to the arrival of British colonists. Ayllón’s settlers did not fare well in this state, however. Due to hunger, disease and the inability to adapt to their new surroundings, the majority of the settlers died within months of arriving. 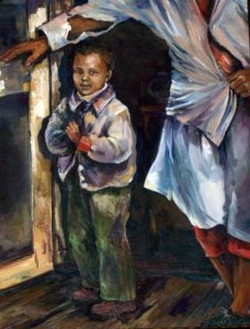 Those who survived fled to Hispaniola, the island containing Haiti and the Dominican Republic. Historians and archeologists have not yet discovered the location of the settlement. Read more in the Jan. 14 edition of the News. If there is one thing I have learned since moving to Bryan County it is how often stationary frame buildings tend to travel around Bryan Neck. Either we Bryan County folk love to cling to our history by preserving our buildings, or we are spend thrifts and figure why build a new building when we already have a perfectly good one we can throw onto the back of a flat bed truck and transport. For the past two years. 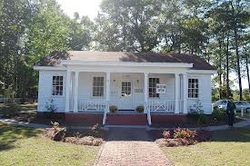 The Richmond Hill Historical Society has talked, planned and finally completed the project of moving the Bailey Carpenter Barbershop building to the Richmond Hill Historical Museum campus. It has taken a community of local folk to help us complete the move. Richmond Hill Police Department and many, many more have helped us complete our goal through donations of time, money and sweat equity. To all of you, the Richmond Hill Historical Society would like to say “thank you.” We could not have done it with out your help. To read more, pick up a copy of the June 1 edition of the News. A couple visiting Fort McAllister recently asked Christy Sherman if there were some Henry Ford-era buildings nearby. “As they were driving through the town, they drove right past them and didn’t know what they were looking at,” said Sherman, who works at Fort McAllister and is the treasurer of the Richmond Hill Historical Society. To Sherman, the exchange was a validation of the Coastal Bryan Heritage Trail project she’s been working on for two years. It’ll come to fruition next week when 11 historical markers in Richmond Hill will start being installed. The signs memorialize significant places that helped shape the city’s history. Boy Scout Troop 527 will install the signs, mostly located along Hwy. 144, on Feb. 19 and 26, Sherman said. For more, pick up a copy of the Feb. 9 edition of the News. South Bryan County, historically known as Bryan Neck, has a rich cultural legacy that is almost ageless. It is exemplified in many ways, perhaps as easily as a casual view of the Ogeechee River marshes where the observing eye may discern the remnants of tidal rice canals and levees. These evoke an era 150 years or more ago when lower Bryan was one of the most productive agricultural sections on the south Atlantic coast. On higher ground, the preserved buildings of a more recent era visually attest to a time when automotive industrialist Henry Ford made an important, and lasting, impact upon Richmond Hill and Bryan Neck. 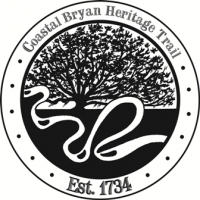 To commemorate this enduring history, the Richmond Hill Historical Society, the city of Richmond Hill and the Richmond Hill Convention and Visitors Bureau has established the Coastal Bryan Heritage Trail and will soon be installing 11 markers, highlighting significant aspects of the people, places and events of the last 200 years locally. The placement of the 11 markers lends itself to an easy driving tour along Ga. 144 through much of Richmond Hill and Bryan Neck. This enables both visitors and residents alike to gain a clearer understanding of familiar places, placed within their historical context. We all have that family member—an aunt, a grandparent, or maybe even our own mother or father—who loves to break out old scrapbooks and photo albums at family gatherings. These moments of nostalgia can be entertaining, funny, heartwarming, and sometimes downright embarrassing as we see ourselves through the years. But, no matter what we’re feeling as we walk down memory lane, we get a sense of our own history and roots. What if the places we love, not just the people, were able to claim that type of photographic legacy? George Washington Carver Elementary School now can, thanks to Richmond Hill Historical Society. On Friday, preceding the annual holiday chorus concert, the school was presented with eight photographs of the original G.W. Carver School building. Christy Sherman, a member of the Carver PTSO as well as Richmond Hill Historical Society, feels the photos provide an important glimpse into the school’s heritage. “I thought they should be here to show students, teachers and parents the history of the school,” she said. Sherman found the photos at the Richmond Hill Museum, and the Society wanted the school to have them. The framed copies were formally presented by Sherman, with a brief discussion of the subjects and a history of the old school building on Bryan Neck Road. “These wonderful photos show activities at the school, like the annual May Day festivities, a student working in the industrial arts shop, classrooms … and Henry Ford and Dr. Carver together,” said Sherman. The original school building was erected in 1939 by Henry Ford. He named the school after his dear friend, George Washington Carver, to honor his achievements in science, botany, humanitarianism and more. Dr. 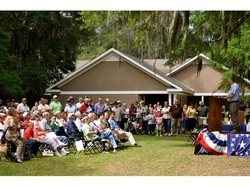 Carver was present at the opening of the school and made the inaugural address. Morales hopes that students will get a sense of Dr. Carver’s own legacy, understanding his importance in U.S. history and letting it inspire them. The photos will hang in the front lobby along with the photo of Dr. Carver that already graces the school. “We hope that the students, teachers, and parents will enjoy the collection,” said Sherman. Richmond Hill Historical Society invites you to learn more about the history of George Washington Carver and the school, and the rich history of our area as a whole, by visiting the museum or becoming a member. 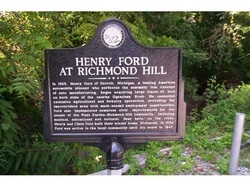 Call 756-3697 or visit www.richmondhillhistoricalsociety.com for details.